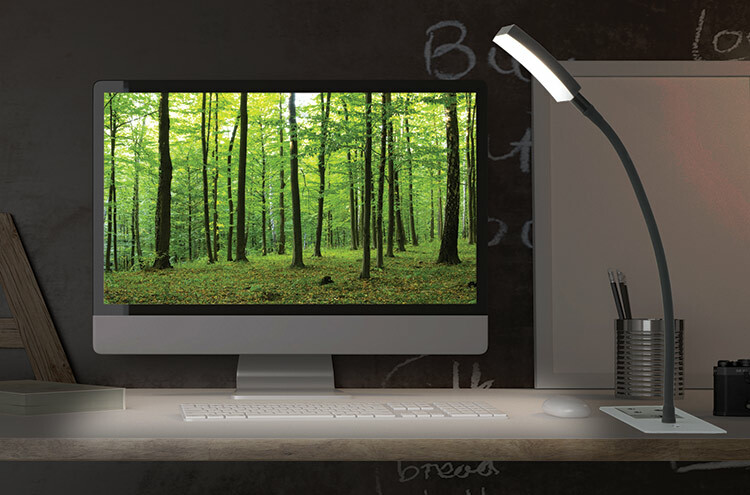 Spike Range - Dimmable LED Lamp with USB and power connectivity. 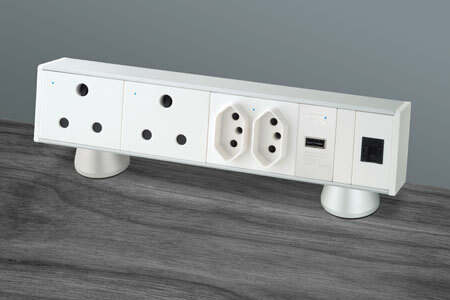 D4 specializes in customised electrical furniture, bringing electrical and data services to your desk. D4’s furniture integration solutions are both stylish and functional. Our fully customised products are ready for installation within 10 working days. All product ranges are manufactured from high grade anodised aluminium, designed with emphasis on aesthetics and compactness. Metallic housings give the units a robust durability. All products are designed and manufactured in South Africa. With the advent of 'hot desking', laptops and smart phones, access to electrical fittings and data services on top of the desk is becoming a requirement. 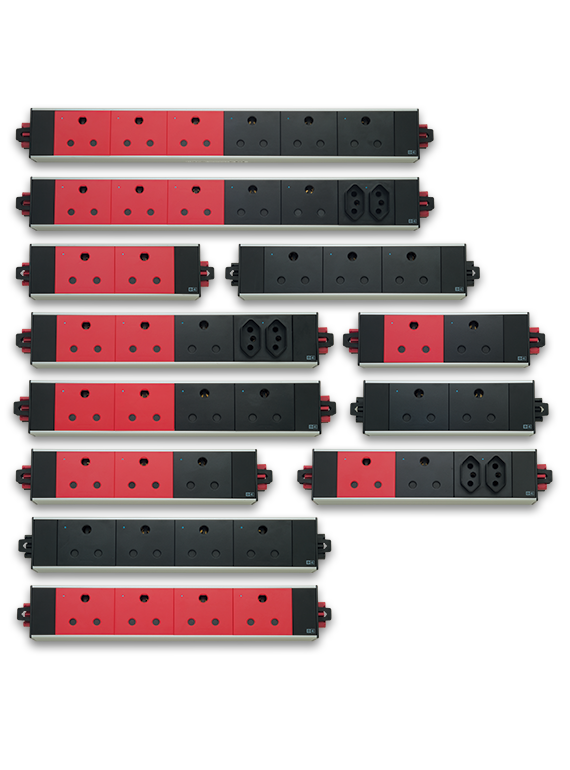 The Modular Design of the D4 range is fully customizable. 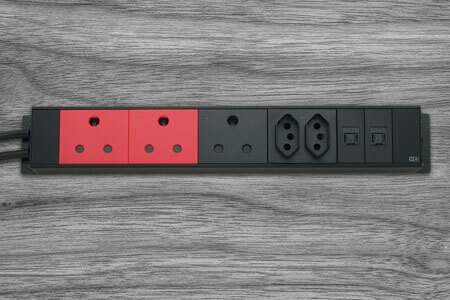 With 9 different power outlet configurations and 7 different data/auxiliary outlet options. The integrated solutions can be re-arranged and adapted to suit specific requirements. Design 4 offers furniture manufacturers the opportunity to design a specific once off custom solution for full integration into their desking ranges. Every D4 Power set has a unique trackable serial number for trace-ability. D-4 offers a 1 year manufacturers "carry-in" warranty on all powersets and cables. In addition a extend "on-site" warranty to 3 years is offered on projects where D4 does the installation. How can we transform your workspace? Having meetings in our boardroom just became so much easier, getting everybody connected and powered up. 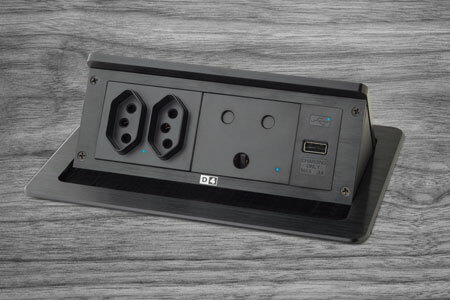 With all our power and data connections within easy reach, it makes our workstations so much more convenient to use.